Mr Donskoy briefed the President on measures to enhance the efficiency of subsoil resource use, develop a system of protected natural zones, and support eco-tourism. President of Russia Vladimir Putin: Mr Donskoy, we discussed with you on many occasions the question of effective subsoil use. I know the Ministry has prepared a roilange of instruments, including work with licences. Let us talk about this now. Natural Resources and Environment Minister Sergei Donskoy: Yes, Mr President. Let me begin by saying that a new system for subsoil resource use began taking shape 25 years ago, with the adoption of the law on subsoil resources. Over this time, practically all of the discovered deposits have been distributed among subsoil users. The share of unallocated subsoil resources is 3 percent for diamonds, for example, around 5 percent for natural gas, 6 percent for oil, and 6.9-7 percent for copper. Today, we are shifting our focus from subsoil resource distribution to ensuring that resources are used effectively. Let me brief you on what we have done over this time to resolve this task. Firstly, we have modernised and essentially put in place a new system of preparing and approving detailed engineering plans, in order to rationalise subsoil resource use. We have introduced a new classification for oil and gas, which conforms to the framework classification used by the UN. We signed the relevant document harmonising these two classification systems with the UN last autumn. We have set new rules for processing geological data, making it more accessible and rapidly updated. Acting on your instructions, we have updated licences, as I briefed you at an earlier meeting. We have now completed this one-off updating. We have covered 5,326 licences, of which 70 percent were updated, while the holders of the remaining 30 percent did not go ahead with updating, for various reasons. Those 30 percent are now under our special supervision. I would also like to note that this updating enabled us to include in the licences clearer obligations that make monitoring more effective. Practically all licences now set deadlines for carrying out geological exploration, providing geological data, and much more. Vladimir Putin: These obligations have become more specific. Sergey Donskoy: Yes, more specific and clearer, and this means we can now continue our work to improve the supervision of subsoil resource use. At the same time, we passed several laws that made it possible to provide subsoil resource deposits to resource users for geological exploration on declarative basis. When investment in geological exploration was falling all around the world (we estimate that it fell around 2.8-fold in the world), it stabilised here, and this is important, and we believe that the measures we took contributed to this. Investment coming in through this new system now comes to around 28 billion, which is comparable to state financing. The time allowed for geological exploration has also been increased. In remote and difficult zones where more time is needed for exploration, we have made this possible. The timeframe has increased by 40 percent, from 5 to 7 years, on land, and exploration can now take up to 10 years offshore. We have introduced economic incentives, particularly through eliminating excess costs and administrative barriers. We give users the possibility to correct technical mistakes in licences and change the boundaries of their licenced sections. The state expert evaluation of planned wells, which duplicated work already done, has been abolished. Extraction of associated components is now allowed (only for state companies for now, but as we pick up the pace in this work, we plan to extend it to a broader range of companies). It is also possible now to use land plots and forest tracts for subsoil resource use purposes. Overall, we think that these measures have made it possible to make this work independent of external challenges, and recent years confirm this. Now, we have completed the improvement work and have cleansed the stock of licences of outdated obligations that were either generally obsolete or do not meet current demands, and we think that the conditions are now in place for a better performing sector. To achieve this, we first need to bring order to subsoil resource use through stricter supervision. If necessary, we are looking at the possibility of revoking the licences of subsoil resource users that fail to comply with the requirements. As I said, the licences now set out clear requirements. In other words, the decision-making process is clearer now. Then there is the system of economic incentives. What does this involve? Last year, we decided and introduced legal provisions making it possible to deduct geological exploration costs from profit tax, taking into account the mark-up factor. This provision applies only to offshore exploration currently, but we believe it could be used on land as well, particularly in the regions we want to stimulate (this mechanism is widely used in the world and we are in talks with the Finance Ministry now). In other words, this mechanism could be put to use in areas we want to develop. However, we want to develop another type of mechanism here. Currently, resource users pay rentals, payment for the area in which they are carrying out geological exploration. We want to raise these payments for resource users who do not perform the work and comply with geological exploration timeframes. In this way we would like to encourage them to keep to the deadlines and requirements set out in their licences and to give them motivation to do so. We are also looking at the possibility of developing new exploration and production technologies at technological test sites. We hope to pass a law this year making it possible to develop technological test sites in various places, tailoring them for use with different types of hard-to-access resources and different types of technology. This draft law is ready now and is going through the approvals process. Work is also underway on developing new forms of state participation in large exploration projects. In particular, we are putting the emphasis on developing private-public partnerships in this area. This is the general picture regarding what we have done to improve effectiveness in this area. Vladimir Putin: How long have you been working on these measures? Sergey Donskoy: We began active work in 2012. Many people worked on the new classification system. The old one dated from 1983 and did not meet today’s requirements. We have gone over to the new system, which makes it possible to take economic factors into account, as well as many new approaches and technological change. This work began in 2005 and was very substantial, but the active phase started in 2012 and is now completed. We also had international experts involved, so that we could examine the international aspects of our national classification and ensure the necessary degree of consistency. 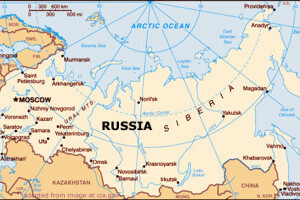 VladimirPutin: What are the legal areas in need of bolstering in your opinion? Sergei Donskoy: We need to focus on economic incentives for geological exploration today, to have the targeted instruments we need for use in new zones where we plan to develop geological exploration and make new discoveries. This is our priority. We also need to motivate resource users to comply with the rules and obligations set out in their licences. We believe this is one of the key tasks now if we want these licences to work effectively, in terms of revenue for resource users, but also, above all, in terms of the development effect for the country. This creates a good basis for regional development, after all. Vladimir Putin: You set this all out in the licences themselves, but what interests me is your opinion regarding the need for additional measures to strengthen the legal base, perhaps government regulations, additions to the legal base. Do you see a need for any additional measures here? Sergei Donskoy: The first point I mentioned does require legal amendments. Measures to stimulate development of hard-to-access deposits will also require legal amendments, and so will the development of test sites to which we can attract companies looking to develop innovative technology, small and medium business working on innovations that big companies will later use in their work as well. As for the private-public partnership plans, it could be possible here to develop junior business and to offer incentives to small companies working at the earlier stages and implementing their geological exploration ideas. Then there is the creation of public-private stimulation funds. Vladimir Putin: How soon do you think this will be done? Sergei Donskoy: Everything is at the approvals stage at the moment. We hope to introduce these additional measures this year, after amending the law. VladimirPutin: When do you plan to submit the draft law to the Duma? Sergei Donskoy: We hope to submit these new proposals in autumn and have them passed. You also wanted to speak about the protected nature zones. Sergey Donskoy: Yes, we have a particular situation this year. In accordance with your executive orders, we are working on measures to mark the Year of the Environment and the Year of Protected Nature Zones. The existence of these protected zones in Russia marks its 100th anniversary this year. In 1917, tsarist Russia established the first such zone, the Barguzinsky Reserve, to restore the sable population. Sergey Donskoy: Yes, 1917 according to the modern calendar, but it was December 1916 by the old calendar. If we take into account the calendar change though, the anniversary falls on January 2017. We have already carried out the first activity planned to mark this centenary, at the Baikal Reserve, where we have opened a visitors’ centre, one of the best such centres yet established, and we invite everyone to come and see Baikal’s beauty in all its splendour. Regarding current protected nature zones, we have more than 200 different reserves and national parks today, and we plan to create another 7 this year – both reserves and national parks. Around 10 million hectares of land will become part of the protected zone system. I would like to say here that international experts and our own specialists agree that the protected nature zone system (reserves and national parks) is one of the best forms of preserving territories that are home to between 50 and 80 percent of rare animal species, and could be subject to human impact. Last autumn, you visited the Orenburg Reserve, where we are carrying out a project to reintroduce the Przhevalsky horse. We brought a dozen horses from Hungary last autumn. This September, we will bring another 10 horses from Hungary. We are thus developing this project and will have a solid core of Przhevalsky horses for taking it further. This summer, we also plan to launch projects to develop eco-tourism and invite people to come and see the horses in the wild and from there to become familiar with what is a very important, but very fragile sector, I think. Most important, I would like to stress, is that specialists estimate that our national parks could attract up to 20 million people on eco-tourism routes. We currently host only 2 million people. This year, we are putting the emphasis on building the infrastructure required for the development of eco-tourism in the national parks. We plan to amend the laws and continue these infrastructure development projects. The most efficient and memorable means of drawing attention to eco-tourism and to our sites and their beauty is to have your support, Mr President. We propose three sites for your attention – the Russian Arctic in the Franz-Josef Archipelago, the Baikal Reserve, and the Putorana Plateau. These are all beautiful and interesting sites. If you agreed to visit, this would be a visible and big contribution to developing eco-tourism in our protected nature zones. Vladimir Putin: Thank you. I will certainly do this. We will choose a site and decide on a time when a visit would have the greatest effect. Sergey Donskoy: Thank you, Mr President.